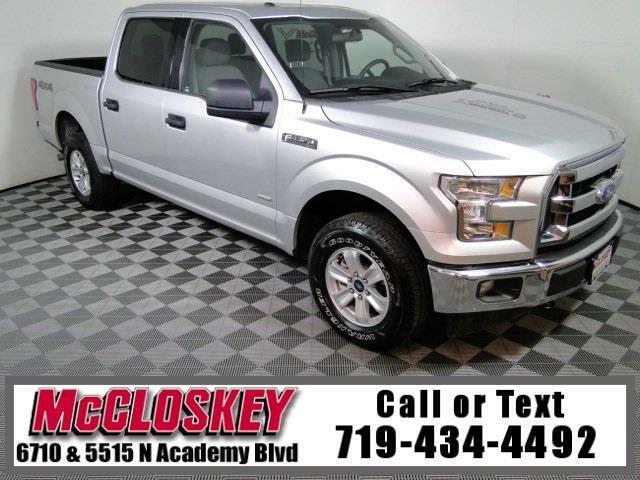 Powerful and capable 2017 Ford F-150 XLT SuperCrew 4x4 with Keyless Entry, Trailer Backup Technology, Backup Camera, AUX and USB Connection, and EcoBoost Engine! The XLT trim includes the XL's optional 101A package along with alloy wheels, chrome bumpers and exterior trim, foglights, a keypad entry system, rear privacy glass, carpeting, four-way-adjustable headrests, manual driver and passenger lumbar adjustments, and additional interior storage bins and pockets. Most major controls are well labeled and logically placed, and the customizable gauge cluster affords a wealth of information.